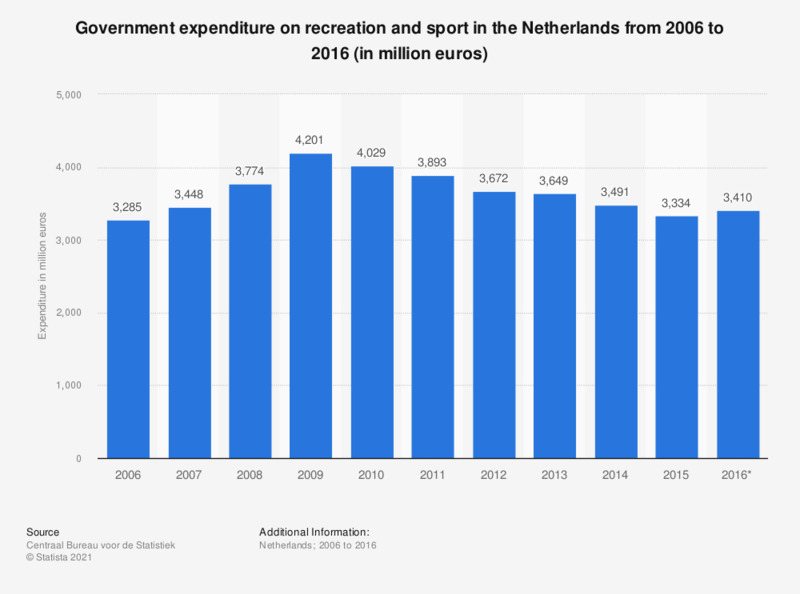 The statistic illustrates the government expenditure on recreation and sports in the Netherlands from 2006 to 2016. In 2016, the government expenditure on recreation and sport was approximately 3.4 billion euros. Recreation and sport consists of parks, beaches, camping terrains and related accommodations, swimming pools, public swimming pools, sport accommodations and -terrains, sport events. Not included are zoos, botanic gardens, aquariums and arboreta. * The figures for 2016 are provisional.